Just about everybody knows that breaking stuff is fun. When directors get gigantic budgets and a car chase to shoot, sometimes they go overboard. These movies destroyed the most cars – the numbers are crazy! Hi wonderful readers, I’m back! I’ve had a wonderful vacation – I hope you have too! I have a post planned about our rental car – you’ll get a kick! Anyhow, here’s a good post to start the new year off with. Autocross. It’s easy to do. Just find a big, empty parking lot, put down a lot of traffic cones in any configuration you want, drive around it as quickly as possible, and have a friend time you. If you spin out, so be it. It doesn’t matter if you’ve got a Ford F-550 or a Ferrari LaFerrari. Any car can do an autocross. I can practically guarantee you that there is at least one big parking lot in your town/city/area. Go to the Home Depot and get $50 worth of traffic cones. It doesn’t matter what size they are. Even those little ones they use at soccer games work. Go to that big parking lot with some friends, a stopwatch (or an iPhone), some food and cold drinks, and have a fun afternoon/morning. Take your friend’s car out for a spin, and vice versa. Have fun. You’ll be surprised at how well your car can handle. Go as fast as you are comfortable with, and work up from their. Even professional race car drivers sometimes have trouble finding a car’s limits. You won’t – probably. When you get bored with the course, redo it. There are infinite possibilities for autocross courses. Also, look online at local car clubs to see where they will be doing an autocross. They will do cones and white chalk lines. Go and watch. It will be professionally done, you will meet great people, have fun, likely join the club, and learn what parts to put on your car. If you’re interested in doing it with them, join the club. It will probably be in your price range, and if not, they will find a way for you to be a member. Here are good cars to use. You can use your daily driver by simply putting on summer tires, better shocks, and other stuff. Use the internet to find parts. 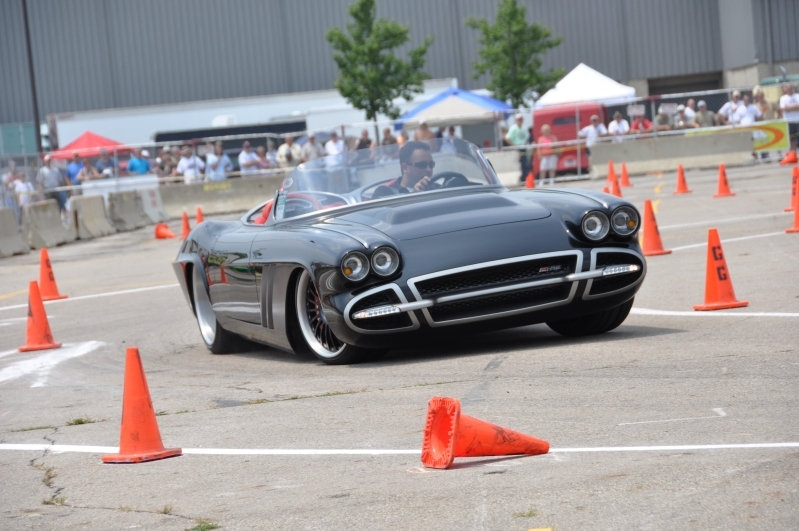 Somebody will have made an autocross warrior out one similar to yours. Honda CRX: OK, this one is going to generate a lot of controversy, but I’m prepared to take it. It’s popular in the modified car world, which means that Honda fans don’t like it much. It can be difficult to find an unmolested example, but there are some out there. It’s worth the effort to track one down. It’s light and agile – it tips the scales at about 1,800 pounds. It came with a multitude of engines, the best of which was a 1.6-liter 4-cylinder engine sending 150 horsepower to the front wheels. Yes, the infamous VTEC system helped. The combination of a light body and decently-powered engine make it a perfect beginners car for the autocross. 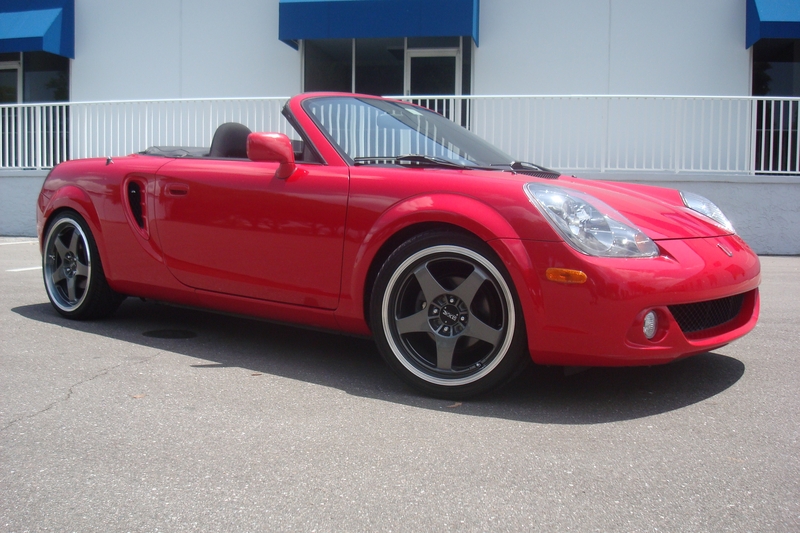 Toyota MR2: This was the last Toyota sports car until the Scion FR-S/Subaru BRZ/Toyota GT86 trio came out a couple of years ago. When you look at it, it becomes immediately clear that this car is an autocross weapon waiting to happen. It weighs 2,195 pounds, has an all-aluminum engine making 138 horsepower, has a limited-slip differential, and has a low center of gravity. It’s a college kid’s version of the Porsche Boxster. They aren’t very well loved by the general public, but autocrossers love them. Mazda Miata: Ever since it debuted in 1990, this cute little roadster that took what we love about classic British roadsters, and added reliability. It’s been a smash hit ever since. Each generation weighs about 2,100 pounds, and with anywhere between 89-167 horsepower available, they are a true rocket on racetracks and autocross courses alike. It’s got perfect weight distribution, RWD, a limitless amount of aftermarket parts, and thousands of cars up for sale on eBay, classified ads, you name it. Ford Focus SVT: This is the car that started the performance Focus craze. It’s got a 2.0-liter Cosworth-tuned 4-cylinder engine making a respectable 170 horsepower. It’s also got the same bulletproof six-speed manual found in the Mini Cooper S of the same era. 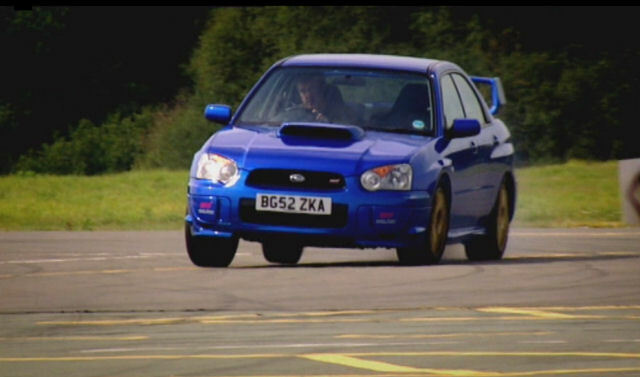 Subaru Impreza WRX/STi: Unless you’ve been in a coma for the last ten years, you’ve heard of the Subaru Impreza WRX/STi. They have an impressive history in WRC rallycross, so it only seems natural that a car that requires so much finesse on dirt and gravel would be at home on asphalt. It is. The 2015 STi has been described as a “305 horsepower merry go round.” The earlier models (2003-2007) are best suited for autocross duty. They have permanent AWD mated to a burbling 2.0-liter turbocharged 4-cylinder and a tricky 5-speed manual. The STi models are faster, but more expensive. Stick with the WRX for better bang for the buck. 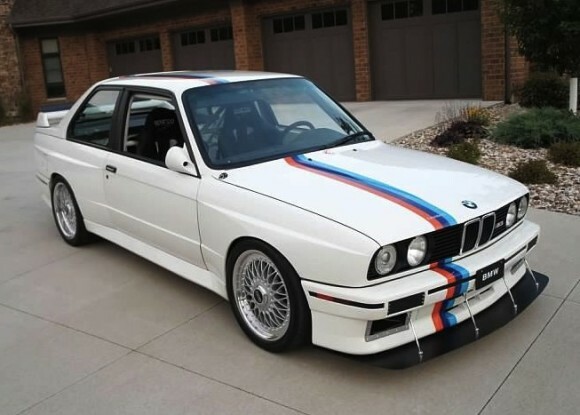 BMW E30 3-Series: This car is truly legendary in every arena of motorsports. Rally, stock car racing in Europe, IMSA, DTM, WTCC, BTCC, you get the idea. It came with a lot of engines, all of which are good. The four-cylinder may be down on power compared to the inline six, but it gives a far better weight distribution. Mitsubishi 3000GT: It’s certainly fair to say that it’s one of the most underrated sports cars of the past 25 years. You get AWD, active four-wheel steering, active aerodynamics with self-adjusting front AND rear spoilers, and electronically-controlled suspension. It was the first real electronic sports car. So, why aren’t people buying these? Well, the electronic systems, which help make it a great drivers car, often fail. They aren’t cheap to replace or fix. Become an automotive electrician if you buy one. 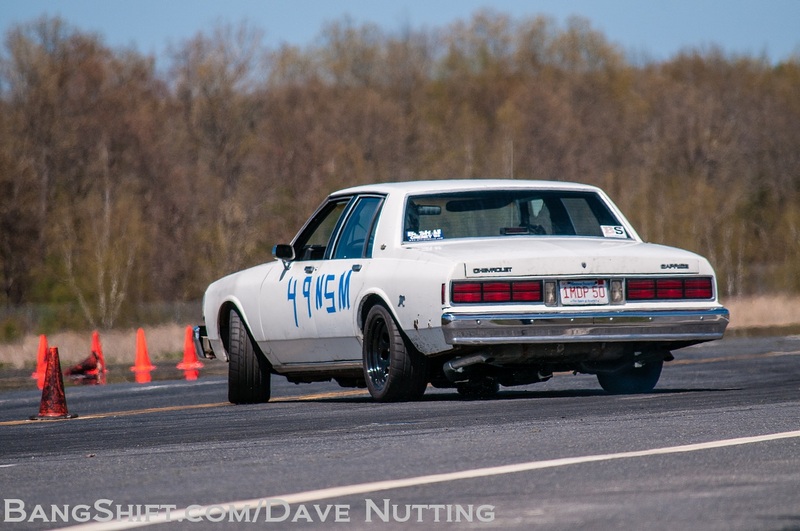 If you’re willing to take the reliability risk into hand, you’re going to find yourself behind the wheel of an immensely capable car that will absolutely dominate an autocross course. Chevrolet C10: This is a wild card, but hear me out. There are many pro-touring shops and companies out there who will build you a killer truck for about $20,000. You can haul all of your spare tires, parts, etc. to the track. You can even haul your other toys out to the track and dominate at the autocross. Using a Chevrolet small-block V-8 will mean that you can squeeze a lot of power out of it for a few thousand dollars, give you reasonable fuel economy, and will be simple to work on no matter what you put on it. Overall, autocross is a cheap, simple way to have a lot of fun with your friends on the weekend. Taking an EVOC course through your local Sheriff’s office will help your driving skills enormously, and you will have fun doing it. Most of the instructors autocross, so ask them which club is best. Also, join a big sanctioning body like SCCA or NASA for autocross. Once you start autocrossing, you’ll get hooked.